I don’t know about you but I crave a big warming bowl of porridge when the weather is cold and the mornings are dark. Oats, almond milk, cinnamon, a splash of vanilla extract and topped with berries and nut butter and/or seeds is one of my favourite combinations, but part of the fun is going wild and experimenting with all kinds of flavours and ingredients. According to social media, savoury porridge is ‘so hot right now’ as people are choosing to add vegetables, eggs and cheese to their oats. 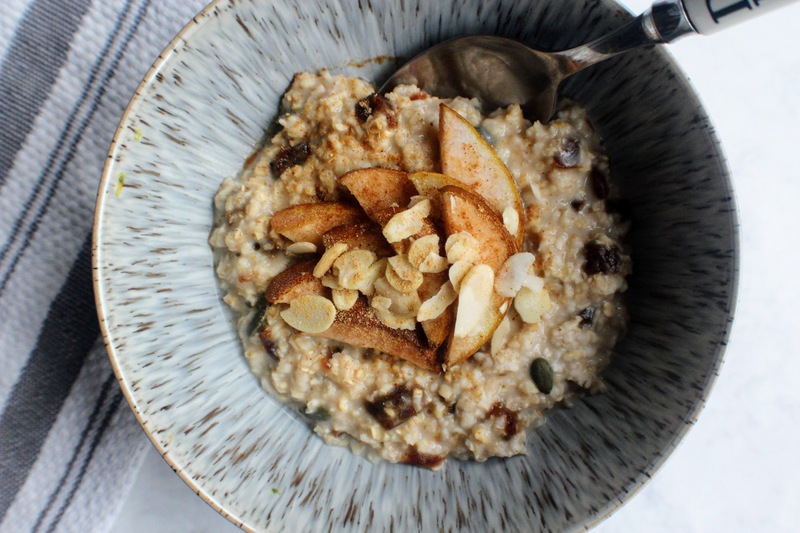 Porridge fans no longer restricting porridge to breakfast time, with almost a fifth (18%) bucking the trend and eating porridge at other times of the day, including lunch, dinner or as a snack. 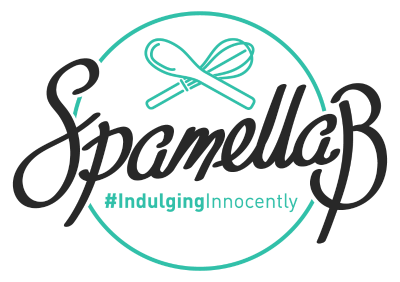 Avocado on toast can move over, as porridge is the breakfast most respondents are likely to post pictures of on Instagram (when compared against a list of seven breakfasts, including: porridge, cold cereal, granola, pastries, bagel avocado on toast and omelette). 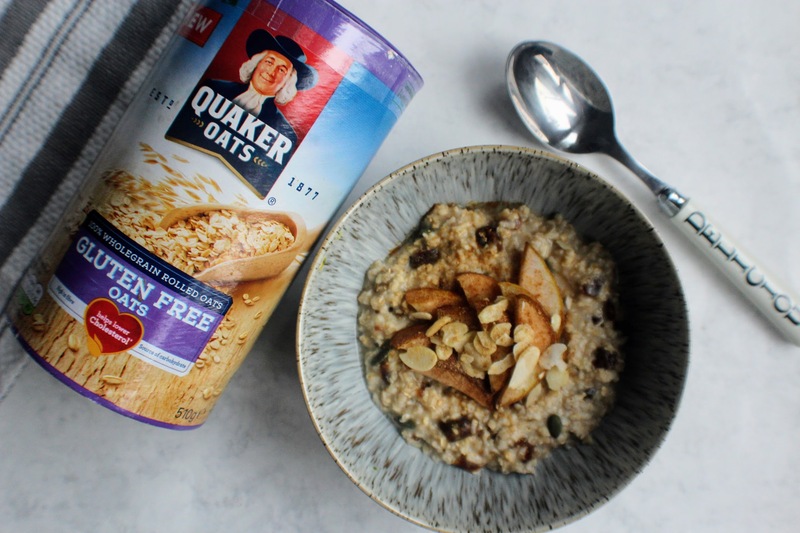 Influential foodies, Edd Kimber and Anna Jones have partnered with Quaker Oats to create vegan-friendly, mouth-watering recipes to coincide with Porridge Season. 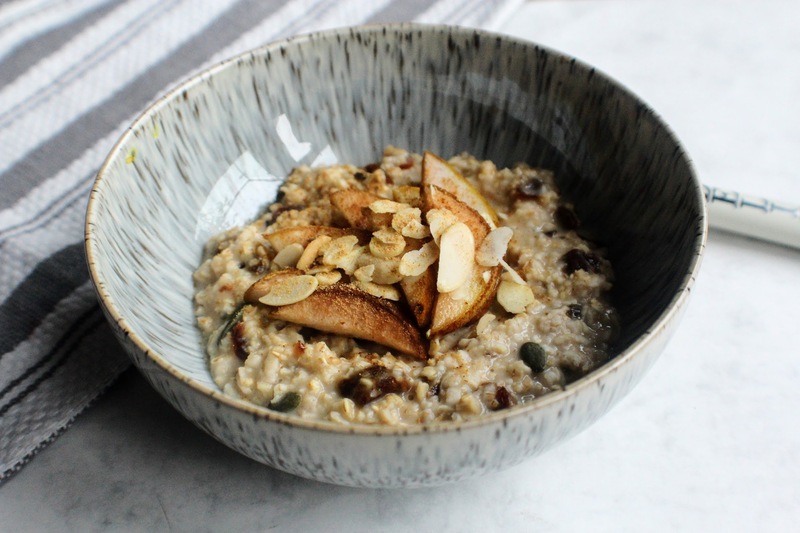 I was sent a list of various recipes to try – from Peanut Butter & Jelly to Roasted Plum & Fennel – and chose to re-create Anna’s Maple Pear Porridge to post on my blog. I halved the ingredients to make 2 servings but follow the recipe below if you want to serve 4. 1. Preheat the oven to 180C/gas 4. Scatter the pumpkin and sesame seeds onto a roasting tray and toast in the oven for 20 minutes. Check every 5 minutes and give them a shake to ensure they toast evenly. Once golden, cool them, then store in a jar until breakfast. 3. Meanwhile, heat the pears and maple syrup in a separate pan over a medium heat for 5 minutes, until just warmed through. 4. 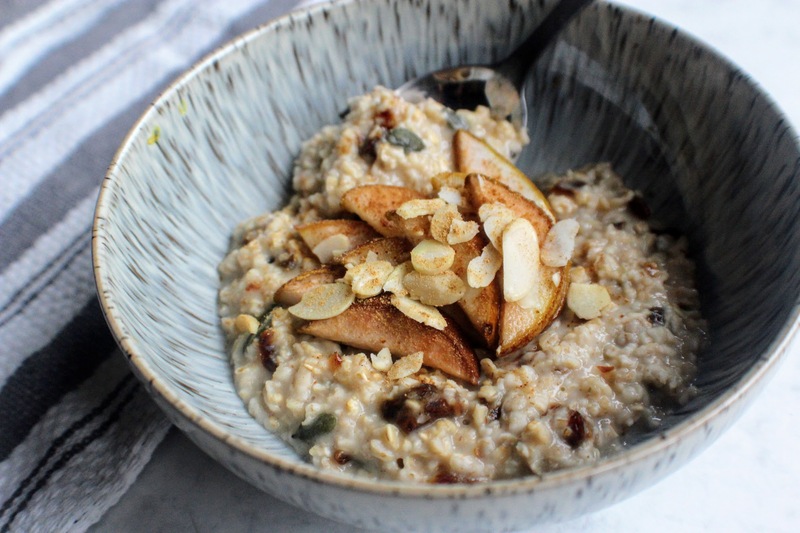 Serve your porridge topped with warm pear, a drizzle of maple syrup and flaked almonds.